Photo-reporting from what used to be a run-down district in Valladolid, Spain, that has now become a model of sustainable living in cities. In the suburbs of Valladolid, a city in central Spain, a district is at the forefront of Europe's energy transition. With its 19 residential buildings and a single tower block, surrounded by a small park, it was built in the 1960s for employees of the car manufacturer FASA-Renault, which gave its name to the neighbourhood. The factory workers have long since moved on, and this middle-class district is now home to many retired people. The area is the hub of an ambitious refurbishment plan supported by the EU project REMOURBAN, which aims to promote more sustainable cities. Valladolid hopes to halve energy consumption and to cut the neighbourhood’s CO2 emissions by 80 per cent. Just around the corner from the newly painted façades, only one building has remained untouched. Initially some citizens rejected the refurbishments, and strongly fought the project. However, when the works started in the summer of 2016, and the benefits became clear, many resisters changed their minds, petitioning the mayor to include them. But the EU subsidies had already been allocated to those residents who had been part of the project from its inception. José Luis Casaseca Salas, here on the right, is the president of the local landlords’ association, and was my guide during the visit. 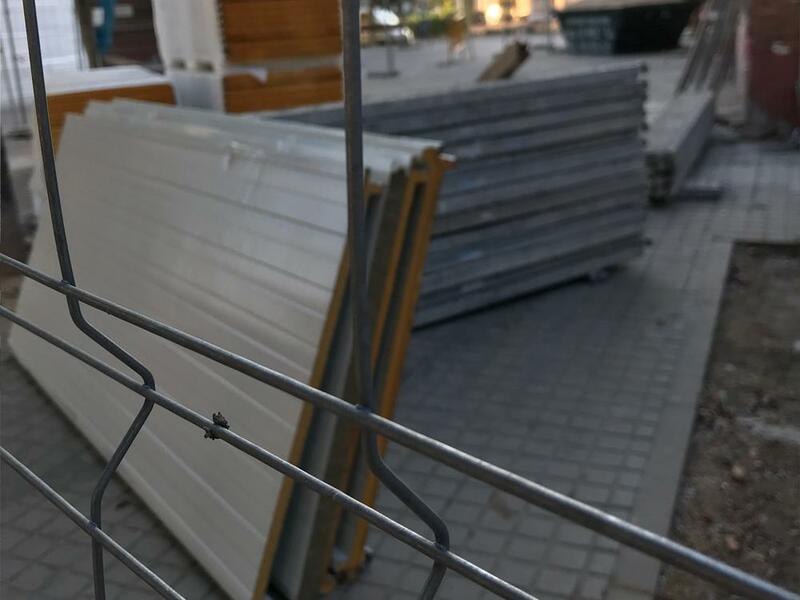 He told me that at the beginning of the project, citizens were sceptical and couldn’t believe that the EU and the Valladolid municipality, were ready to cover 70 per cent of the renovation costs. So José took the lead and organised several community meetings to discuss the initiative: “I wanted the area to look modern,” he said. He observed that the original pipes in the buildings were losing heat, and “losing heat means losing money”. But it took him almost two years to get on board all the 1,180 residents from 398 individual dwellings. 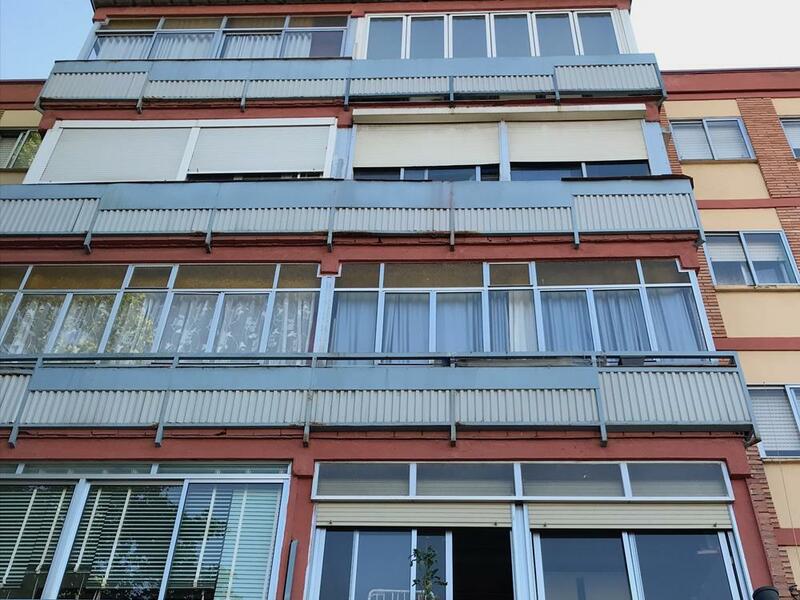 The main interventions included the installation of an external envelope on the building, and an exterior thermal insulation cladding system on the façades and roofs with 60 mm panels, explained experts from Veolia and Acciona Construcción, Spanish companies carrying out the renovations. 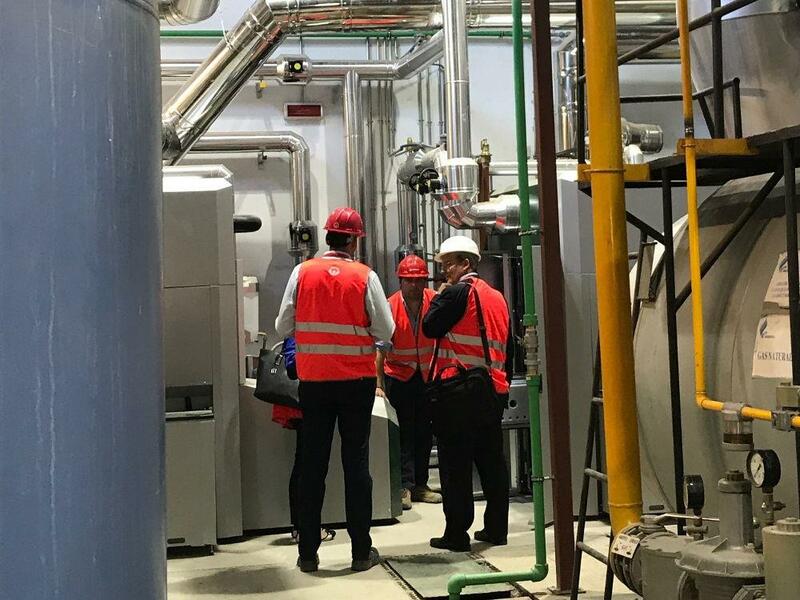 The installation of a new 850 kW biomass boiler and the replacement of the heating network has reduced the district’s energy consumption by 45 per cent, according to the Municipality. 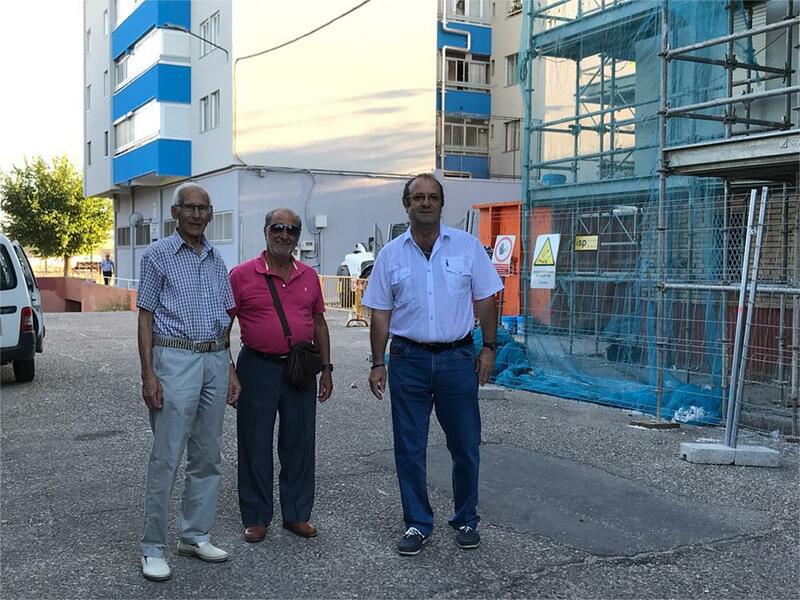 José and some of his neighbours said that before the project, each flat possessed its own hot-water boiler, paid for separately. Now, to reduce energy costs, the provision has been centralised, with a connection to the central heating network through external pipes. New thermostats have been installed on radiators in each flat, and energy consumption is monitored through a digital platform. The tower was the most impressive part of the visit. 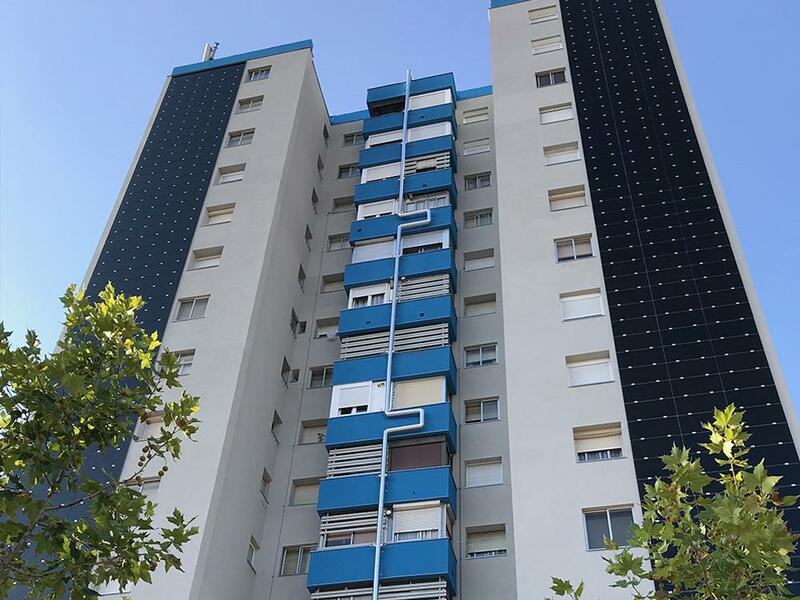 The south façade has been covered with 458 m2 of photovoltaic panels, providing energy for the building and the 56 families living in it. Adding LED lighting in communal areas was part of the refurbishment. 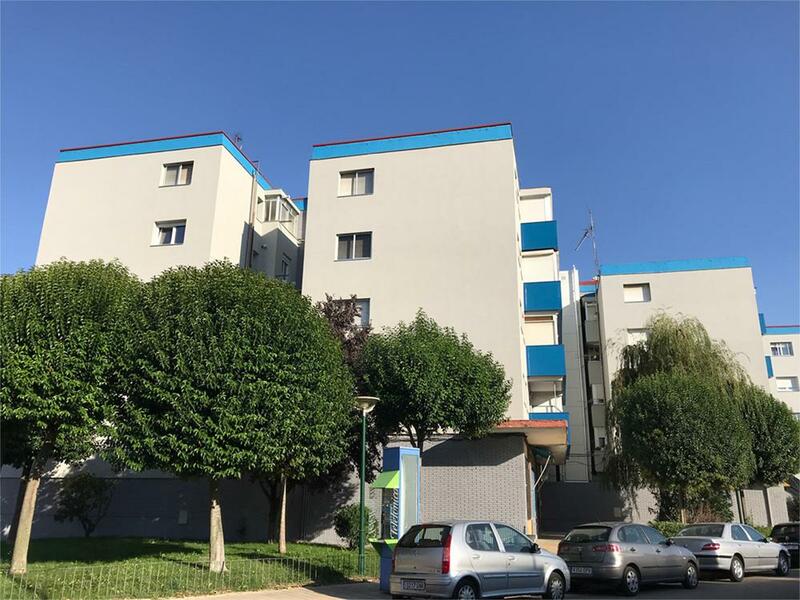 Each family had to pay €2,939 towards the renovation of the FASA district. But officials from the Valladolid Municipality and my local guide José said that this amount will be mitigated by lower energy bills. Savings in energy consumption will therefore end up paying for the renovations. Besides my visit to the FASA district, I toured the city on a silent electric bus, which needed only 7 minutes for a battery recharge. 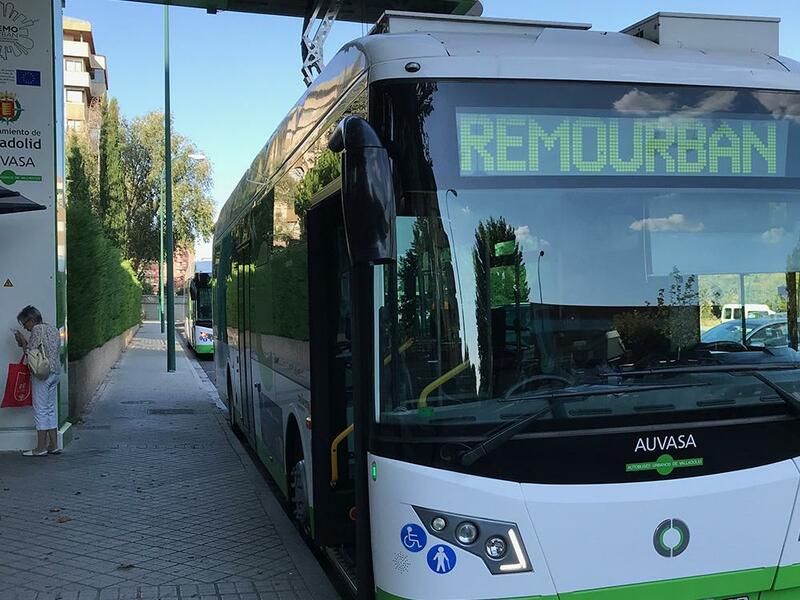 Valladolid's public transport company, AUVASA, now includes five electric buses, two of which were bought by the project REMOURBAN for €400,000. The European Commission covered 40 per cent of this cost. Officials from the Municipality explained that the buses have a hybrid-series arrangement, with a generator based on a Euro 6 diesel combustion engine and an on-board electric power accumulation system, which delivers high-efficiency energy and low emissions. All buses are provided with USB sockets to recharge mobile phones. In the past few years, Valladolid has led the way towards smart, sustainable mobility. Measures include tax incentives for businesses that use electric vehicles, free parking, and special access in the historic city centre for the so-called VELID (limited-size electric vehicle). 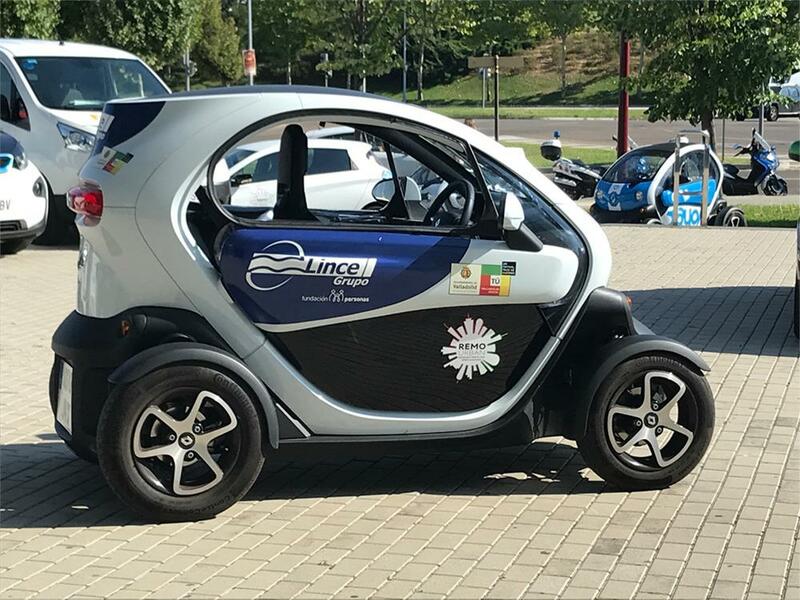 The fleet has about 50 electric vehicles including buses, taxis, electric cars and motorcycles belonging both to citizens and private companies (e.g. hotels, shopping centres). Some of the citizens explained to me that they even set up a WhatsApp group to discuss the best charging points in the city! 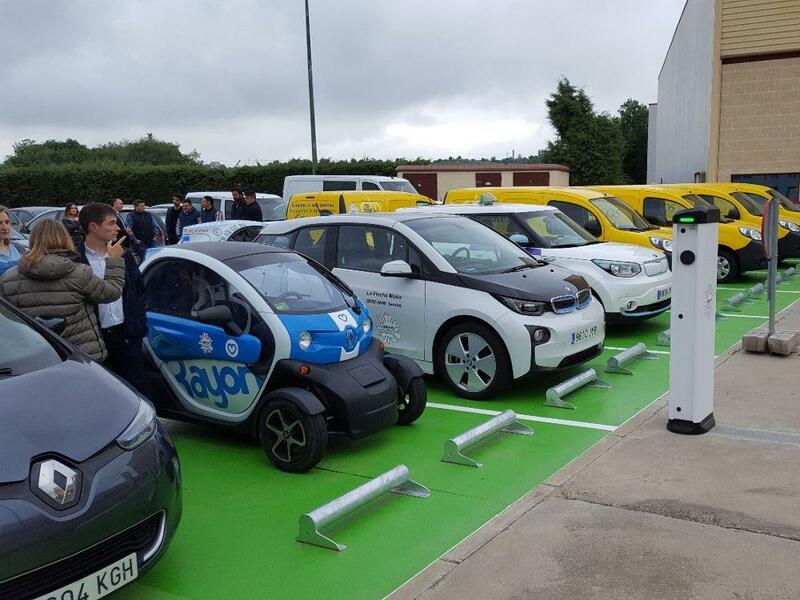 The city has 34 public charging stations for electric vehicles, with plans to reach 63 points by 2020, thanks to the EU project. These measures are complemented through ICT technologies and strategies like smartphone apps and the implementation of contactless RFID (radio frequency identification) cards to enhance intermodality among buses, rented bicycles and car sharing.